In recent years, the City of College Station has noticed a steady decline in cash transactions at the Northgate College Main Parking Garage. More than 80 percent of garage patrons now pay with debit or credit cards. The entire parking garage industry is rapidly going cashless, and several local garages have already transitioned to this type of system. It’s as easy as that for citizens to report code enforcement, public works, and other non-emergency issues to the City of College Station. The online application allows anyone with internet access to report and easily track updates to their concerns. It empowers you and your local government to take care of and improve our neighborhoods in a tangible and meaningful way. SeeClickFix can be accessed through desktop computers, smartphones or other mobile devices. Better yet, it’s simple to use and creates a higher level of accountability through timely communication between you and your city. The most popular way to use SeeClickFix is with a smartphone or tablet. Mobile devices make it easy to take and submit photos, which help city staff quickly identify problems and determine how to resolve them as efficiently as possible. Go to your device’s app store for a free download. 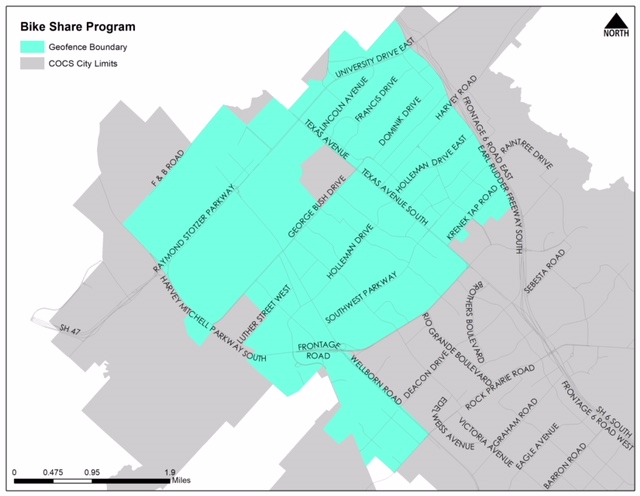 The system can also be accessed through the city’s mobile-friendly website. Pinning or entering an exact address will help staff locate and resolve the issue in a timelier manner. Remember, pictures say a thousand words so whenever possible, please provide a picture of your concern. If you have specific questions, call Code Enforcement at 979-764-6363, and we will be happy to answer your questions. In addition, problems phoned into Code Enforcement are entered into SeeClickFix, which allows us to count the numbers and types of reported cases accurately. SeeClickFix incorporates code enforcement, public works, parks and even outside agencies such as the Texas Department of Transportation to address the issues you report. While code enforcement is the clearinghouse for SeeClickFix, we ensure the proper agency addresses your specific issue. Sometimes we receive updates, and sometimes we don’t. But we can always provide you with direct contact information if you have specific questions for that agency. SeeClickFix is not a social media site but an online reporting work order system. That means posting personal information or vulgar or inappropriate language will cause your post to be flagged and removed. The type of concern reported determines who responds. While most issues are directed to code enforcement, not all issues are code related. Most potholes, street lights/sign issues are sent to either Public Works or TxDOT, depending on the location. Issues concerning parks are sent to the Parks and Recreation Department and so on. Each agency has procedures for responding to concerns on SCF, and while we may get updates from some agencies, we don’t get updates from them all. Code Enforcement will respond to issues that are possible code violations. An officer will investigate, and if a violation is found, the officer will proceed with a code case in our tracking system. Some cases take longer than others to resolve, such as junk vehicles or weeds and grass, but a typical case is resolved within 10 days. SeeClickFix isn’t monitored 24/7, so don’t report public safety concerns such as suspicious persons, robberies, threats to life, etc. on. Always call 911 when a real emergency exists. SeeClickFix has proven to be a valuable tool for our citizens and has helped the city become more efficient and effective at resolving everyday issues. We hope you will continue to use it when you see something that needs to be addressed. Just go to seeclickfix.com/college-station to report an issue. Keep seeing and clicking, and we’ll keep fixing! Code Enforcement Supervisor Julie Caler has been with the City of College Station for almost two decades. For football fans, following your favorite team to Kyle Field can be tricky. With tens of thousands of fans descending on a relatively small area, finding a place to park your vehicle can be daunting. Visitors understandably want to park as close to the stadium as possible, and that creates challenges for our guests and residents, especially in the Southside neighborhood. Making sure everyone abides by our city parking ordinances is a major test for city staff, too. Our parking ordinances are designed to make our streets and neighborhoods safe. Emergency vehicles need to be able to respond if needed, and cars must be kept off yards to prevent fires, broken meters, broken gas lines, or other problems. The College Station Police Department, Code Enforcement, and the Northgate District staff work together to provide a safe environment for you on game day. The Northgate District provides safe and affordable parking options, including the Northgate Parking Garage, which is just a short walk to Kyle Field. The special game day rate is $25. If you park in the garage, you don’t have to worry about parking in the wrong place or being towed. If you spend much time in College Station these days – especially near the Texas A&M campus – you’ve probably seen a bunch of yellow bikes. 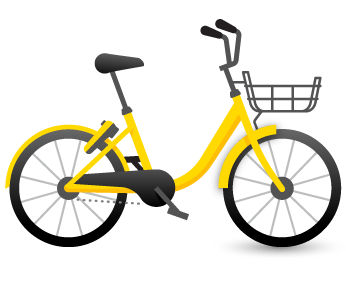 Last spring, Texas A&M partnered with Ofo Bike Share Systems to offer the yellow bikes as an alternative mode of travel on and around campus. Naturally, it didn’t take long for users to venture beyond campus to city streets and neighborhoods. As the popularity of the dockless bike share program grew, it became clear users needed appropriate guidance on responsible off-campus bike use. Riders are supposed the park the bikes in racks within a geo-fenced area, which includes the campus and a small radius beyond campus. Unfortunately, the bikes have turned up in a multitude of unintended locations such as grassy areas, sidewalks, roadways – even treetops. Many of the complaints focus on the aesthetic impact of yellow bikes left around town, but they’ve also caused safety concerns. College Station’s ordinance requires that the program operators must remove bikes reported to be parked incorrectly or left outside the geo-fenced area within two hours from 6 a.m.-6 p.m. or within 12 hours at other times. If they don’t, the company is charged a $125 relocation fee or issued a citation. City code enforcement officers will help enforce the ordinance. Users can also lose their bike privileges for misuse. Users must park dockless bikes in an upright position in the geo-fence zone that encompasses the area in and around campus. The bikes should never be parked where they can create a hazard or otherwise impede vehicles or pedestrians. Report the issue using the subject line “Dockless Bike Share” on the city’s SeeClickFix code enforcement app. Make sure the location is as accurate as possible. Call Code Enforcement at 979-764-6363. They will send a message to Ofo and the area’s code enforcement officer. Send an email to codeenforcement@cstx.gov. You can find additional reporting information affixed to the bikes. As always, bicyclists are encouraged to wear a helmet, obey traffic laws, and yield to pedestrians. Aubrey Nettles is in her fourth year as special projects coordinator in the City Manager’s Office. She previously served as executive assistant to the Fort Bend County Commission and was a management analyst for Harris County. 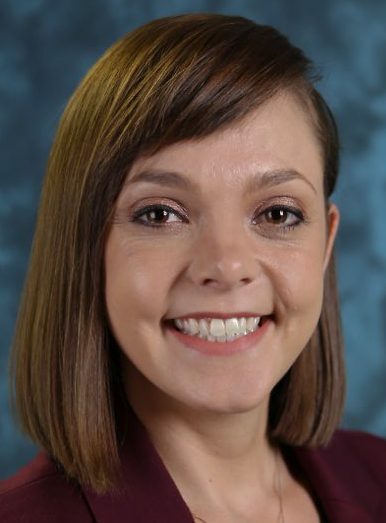 A native of Smithville, Aubrey earned a master’s degree in public administration from the University of Houston in 2012 and a bachelor’s degree in communications from Texas A&M in 2010. For many visitors to the popular Northgate district, finding a place to park can be a frustrating ordeal. The surface parking lot is frequently full, and the metered parking spaces on nearby streets are limited. The solution is the city-owned parking garage at 309 College Main Avenue. It offers 719 affordable spaces in a clean, convenient, and safe environment. The customer-friendly facility is close to the A&M campus and has no time limits. Park as long as you need. Since the parking spaces are covered, you don’t have to worry about weather conditions damaging your vehicle, either. For more information or to purchase a contract, visit cstx.gov/parking or call 979.764.3778. Let us help you ease your parking worries! Northgate District Supervisor Eric Chapman has been with the city since 2009. He worked for Tarrant County from 2005-08 and was a federal correctional officer in Ontario from 1997-2005. A native of Canada, Eric earned a degree in law and security administration in 1996 from Loyalist College in Belleville, Ontario.